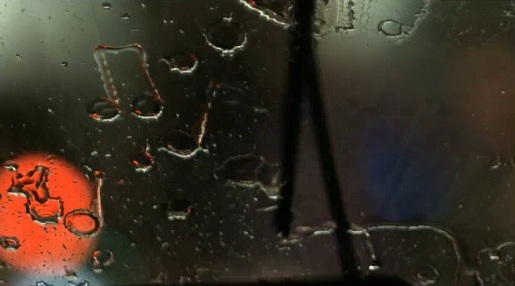 Sony Ericsson is promoting the Play Now Plus feature on their mobile phones with “Raining Music”, a television commercial featuring music falling as rain from the sky. The ad, filmed in Slovenia, is high on CGI effects produced at Glassworks and a music soundtrack produced at Adelphoi. As night falls over the city, a rain shower begins to threaten the evening for a group of youngsters gathering in the town square. That is until they begin to realise that there’s more to this shower than soaked jeans and frizzy hair; as the tagline suggests; ‘there’s music in the air’. In a growing crescendo of colour and sound, musical notes rain down into the crowd, allowing people to enjoy their music either in an intimate setting, one note at a time, or together with all their friends in a music soaked frenzy. The Raining Music campaign was developed at Iris Worldwide, London, by creative director Grant Hunter, art director David Dyer, head of moving image Torri Stewart, agency producer Jane Rattle. Filming was shot in Slovenia by directors Ben & Joe Dempsey via Knucklehead, London, with producer Ben Mann. Offline editor was Joe Guest at Final Cut. Post production was done at Glassworks London by TK colourist Ben Rogers, Flame artists Glyn Tebbutt and Ruben Llusia, Flint artist Iain Murray, 3D Lead Vaclav Cizkovsky, 3D artists Nick Smalley, Stephen New and Norbert Kiehne, and producer Phil Linturn. asked to execute an eclectic mix of instruments and abstract sounds to punctuate and track the depicted rain storm. From basic piano keys to morphed and twisted electronics every drop in this film has it’s own life, sound and identity.